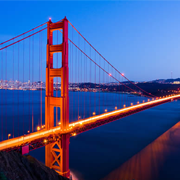 Immigration Services San Francisco - View Our List Of Immigration Consulting Services | American Corporate Services, Inc.
American Corporate Services (ACS) is an established law and consulting firm headquartered in San Francisco, California. We specialize in six distinct business and immigration services to assist our clients as they make major transitions for themselves, their families, and their businesses. Immigration. We are experienced professionals with expertise in processing and obtaining visitor, student, employment and investment visas, and visas for political and religious asylum. 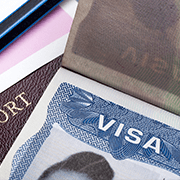 We advise our clients on both the legal issues and practical concerns in obtaining immigrant and/or non-immigrant visas. Our Immigration Attorneys are multilingual, including proficiency in Mandarin, Cantonese, Russian, Spanish, and English. Corporate Services. We help our corporate clients to establish business entities in every U.S. state and offshore tax safe havens, such as the Hong Kong, Cayman Islands, British Virgin Islands, Panama and others. We provide Nominee Directors, Managers, and Shareholders or Members for such entities. We act to ensure the security of our clients’ proprietary information while handling their day-to-day operational matters. ACS provides virtual offices, including secretarial services, bookkeeping, accounting, tax preparation, and complete legal support. Real Estate. We provide real estate broker services to individual and institutional real estate buyers by connecting potential buyers and sellers. Our goal is to help our clients always to get the best deal. Our multilingual Brokers and Agents make transactions and communications simple and comfortable. Foreign Investments in American Projects. 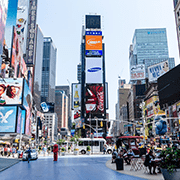 We have accumulated strong local government connections over nearly 25 years working in the industry that can aid foreign investors in locating worthwhile U.S. projects. We provide broker services to foreign investors, from locating USA construction and development projects to finding investment opportunities in high-tech companies. English Language Proficiency Courses and Summer Camps. We provide English proficiency training and summer camp placement for international students interested in improving their English language skills. Professional English teachers help students become proficient in their understanding and fluent in their use of the English language, its idiosyncrasies, and its idiomatic expressions. We offer placement services to summer camps that help children from overseas to learn English during their vacation in the U.S.
School Placement. We provide educational placement services by helping international students to prepare application materials for U.S. schools, colleges, and universities. Our expertise and years of experience enhance their chances of being accepted by their preferred educational institutions. ACS has served over 7,000 satisfied clients since 1991. We invite you to take advantage of our services. Contact us today for a no obligation consultation. You are our business. We succeed only when you do.